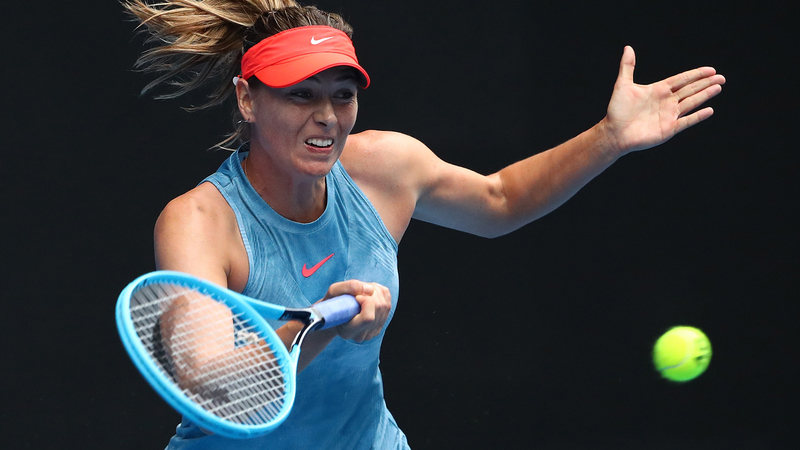 Maria Sharapova ended Caroline Wozniacki's Australian Open title defence with a hard-fought three-set win in the third round on Friday. In their first meeting since 2015, Sharapova overpowered Wozniacki in a 6-4 4-6 6-3 victory after two hours and 24 minutes on Rod Laver Arena. Wozniacki gave up break leads in each of the opening two sets, before Sharapova delivered when it mattered most in the decider. A five-time grand slam champion and the 2008 Australian Open winner, Sharapova will face home hope Ashleigh Barty in the fourth round. Wozniacki and Sharapova traded blows from the back of the court in what was a huge early battle. Errors from Sharapova gave Wozniacki a break for a 3-1 lead, only for the Danish third seed to double fault when down a break point in the seventh game. Sharapova's charge continued as she reeled off five straight games, winning the opening set with a powerful forehand winner down the line. Wozniacki importantly slowed Sharapova's momentum and held serve to start the second, the Russian then broken after three double faults to fall 2-0 behind. Sharapova, the 30th seed, responded once more, breaking back again with a forehand winner in the fifth game. However, Wozniacki managed to steady and broke at the perfect moment, taking the second set 6-4. It was Wozniacki who looked the more likely to land the first big blow in the decider before Sharapova did just that in the seventh game, a huge forehand winner giving her a 4-3 lead. Wozniacki denied Sharapova once in the ninth game, but a cross-court backhand proved unreturnable as the Russian clinched victory on her second opportunity.